THE ITALIAN CUP TAKES THE BRESCIA ROAD! 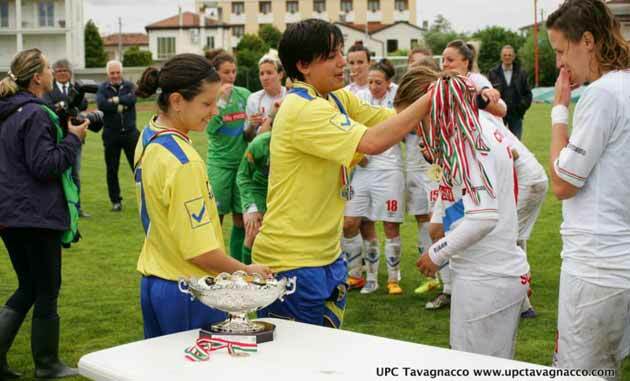 Facing today Brescia and Tavagnacco to conquer the coveted trophy of the Italian Cup. Bertolini recovers all the injured and deploys the classic 3-5-2 super offensive. Tavagnacco in the field without Camporese disqualified. The field is not in the best possible conditions but there is a bet: it will be a great match! Immediately endangered by the Tavagnacco gate when Rosucci sneaks into the crowed area of ​​Sabatino, Tavagnacco manages to remedy an initial blunder and leaves again. At the minute 4 is Tavagnacco to be seen by Marchitelli with a shot from outside Cecotti easily controlled by Marchitelli. In the following action comes the goal of Brescia! Launch deep where Sabatino snaps, the goalkeeper does not come out and Pippo-goal bags. 1-0! After the 10 minutes of play are the lionesses to run a great danger: the ball at the edge of the area, Cecotti's shot and ball that is printed on the inside post. Read more: THE ITALIAN CUP TAKES THE BRESCIA ROAD! Two goals per time and the Italian Cup goes to the "Leonesse". Pole of Cecotti, Mensah and Minutello debut. Parisi and Brumanapremiano the winners. The Graphistudio leaves the Italian Cup in good hands. In the final of Abano Terme the gialloblu try to tease Brescia, but the "Leonesse" (with seven national in the engine) scratch four times and bring home the trophy. On the conscience of the formation of Sara Di Filippo a couple of lethal mistakes on the first and third network but, overall, has (stra) won the strongest team. In the four seasonal challenges, in fact, the battleship of Milena Bertolini has always had the best of Friuli. Ready away and Brescia is right away. At the 4 ', however, the Graphistudio has a good opportunity, but the right from the edge of Cecotti is choked and does not worry Marchitelli. After only 2 'after the law of Sabatino - historical killer of Tavagnacco - who flees on the offside line and bypasses Blancuzzi with a lob. At the 11 'Cecotti still at the shooting range but, this time, the diagonal shattering spectacularly on the pole. At the 14 'Alborghetti, from the distance, engages Blancuzzi. Returned the "strike", today in Abano Terme (15 hours) is awarded the Italian Cup - held by the Gialloblù - opponent Brescia. Di Filippo goes beyond absences: "Nobody believed in this final, now we try to win it"
In the end it is played. And if it is not a sweet condemnation, however, it is a pleasant habit. For the third consecutive year, in fact, the final of the Italian Cup calls the Graphistudio to report. And, after the successes of 2013 in Forlì (2 - 0 in Verona) and 12 months ago in Santarcangelo di Romagna (3 - 2 in Torres), the Gialloblu would not mind to realize the famous proverb. On the other side none other than Brescia, already owner of the Supercoppa - blown in Brumana and companions last September - Italian champion outgoing and with seven national in the engine. Mozzanica KO. It is Brescia that goes into the final. Brescia: 1 MARCHITELLI, 2 NASUTI, 3 D'ADDA (from 35 'KARLSSON), 4 ZIZIOLI (9' ST ZANOLETTI), 5 LINARS 6 ROSUCCI 7 CERNOIA, 8 ALBORGHETTI, 9 SABATINO, 10 GIRELLI (from 15 'st TARENZI), 11 BONANSEA. All. Milena Bertolini. Available: Caesar, Boattin, Costi, Prost, Tarenzi. Mozzanica: 1 GRITTI, 2 RIZZON, 3 TONANI, 4 STRACCHI, 5 SCHIAVI, 6 LOCATELLI (cap. ), 7 IANNELLA, 8 BRAMBILLA (from 17 'FUSAR POLI), 9 GIACINTI, 10 SCARPELLINI (from 30' ST GARAVELLI), 11 RIBOLDI (from the 35 'pt CAMBIAGHI). All. Nazzarena Grilli. Available: Cappelletti, Dossi, Mauri, Pernigoni. Referee: Zanotti of Pavia. Lunghi (Milan) and Zanellari (Seregno). Ammonite: Zizioli (B), Rizzon (M), Iannella (M). Expelled: Grippa (Mozzanica masseur) for protests. Read more: Mozzanica KO. It is Brescia that goes into the final. A Brumana goal for the half hour of the second half allowed Tavagnacco to beat Res Roma for 1 at 0 and to eliminate the Giallorossi from the prestigious Italian competition in the semifinals, at the end of a match in the balance until the triple whistle. Mister Melillo has to give up on Cunsolo and leaves Greggi and Nainggolan on the bench, starting from the first minute Pipitone between the posts, Colini, Gambarotta, Fracassi and Morra on defense, Villani, Simonetti, Coluccini and Ciccotti in midfield, with Pirone and Palombi in attack. 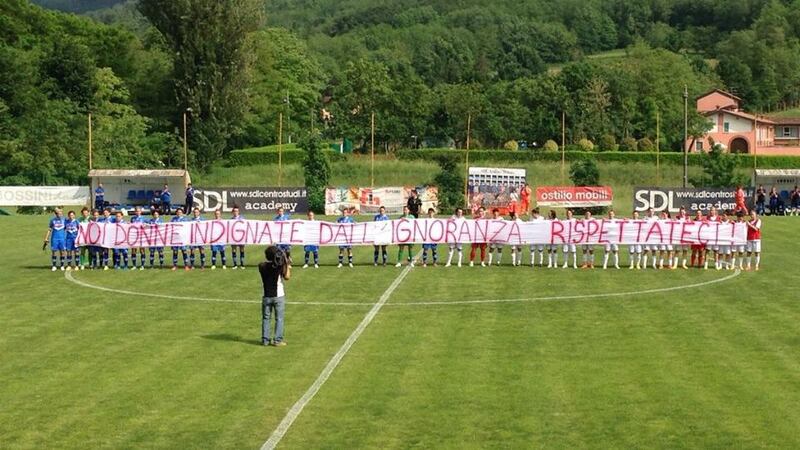 The race begins with a quarter of an hour of delay in protest against the president of LND Belloli, guilty of having labeled the Italian players with homophobic phrases; the two teams took to the field a banner bearing the phrase "WE'RE WOMEN INDIGNED BY THE BIRTHDAY, RESPECT IT." The first fraction of the game ends in white nets but gives many emotions: the landlords start well and at the third minute go close to the advantage with Parisi shivering the rear of the Capitoline; the seventh Brumana to worry Pipitone with a shot from distance. Only one minute passes and Pirone forces Blancuzzi to deflect for a corner; in the quarter of an hour it is still the Giallorossi striker who becomes dangerous with a shot that ends just wide. The race is vibrant: Tavagnacco tries with Parisi and Brumana, the Roma responds with Fracassi and with a shot of Palombi around the post. At half an hour Palombi flies into the area and is landed by Blancuzzi but the race director lets it run between the protests of the guests. Before the double whistle Pipitone performs an authentic prowess on a conclusion on the fly of Cecotti, on the developments of a korner. In the second half we witness a more tactical and less spectacular race: the first real goal action comes in the quarter of an hour with Coluccini who from outside the area touches the right post of the goal defended by Blancuzzi. THE LEONESSES FLY IN THE FINAL! The Brescia overwhelms the Mozzanica in the Italian Cup semi-final and arrives in the final where he will find the Tavagnacco. The Leonesses were superlative playing the perfect match against the third force of the championship, maintaining the highest rates throughout the race and annihilating the opponents; the opportunities are flaked since the first moments of play, then the girls of Milena Bertolini have entered the right gear and within 6 minutes (from 10 'to 16') have scored well 3 goal: two goals of an amazing Barbara Bonansea and Girelli's network. 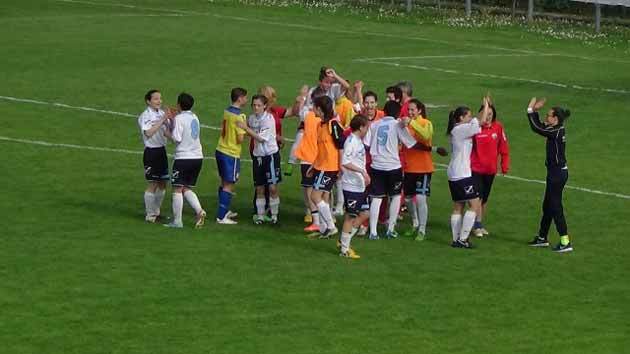 The Bergamo were no longer able to react and were shipwrecked in the second half, where they found the second network of Cristiana Girelli and that of Daniela Sabatino. Read more: LEONESSES FLY IN THE FINAL! In the Italian Cup semi-final tomorrow (16 hours, at the "Tavagnacco Stadium") with the Res Roma, in addition to Camporese and Sardu will also miss Peressotti, injured during the last training. Di Filippo: "Difficult adversary, but we do not give up"
There is an Italian Cup to be protected. And, passing over the moat, the third consecutive final. But the situation, at Graphistudio, has become even more complicated, because the medical bulletin has undergone an unexpected and unwanted update. The expected absences of Camporese (disqualified) and Sardu (breakdown broken up to the left little finger), has in fact been added that of Peressotti, doubly fractured (little finger and left ring finger, with subsequent plaster application) during the last training. FIRST TEAM AND SPRING: WEEK END OF FIRE FOR THE RES ROME! A weekend of fundamental importance for the Res Rome, which will play the Italian Cup semi-final with the first team between Saturday and Sunday, and the first round of the second stage of the Primavera national championship with the team coached by Roberto Piras. 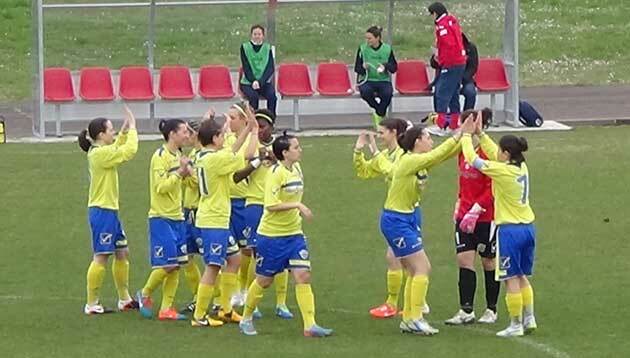 Filed the excellent Serie A 2014-2015, culminated with the early salvation and the conquest of seventh place, the girls of Mr. Melillo next Saturday will face the Tavagnacco, in the match valid for the Italian Cup semi-final. The Giallorossi reach the prestigious goal for the second consecutive year, after having eliminated Lazio, ASD Roma, Perugia, Bari and Acese in the previous rounds; Ironically, last year the opponent was Tavagnacco, who conquered the Roman camp for 2 at 0 thanks to Zuliani's goal and the Ciccotti's own goal. The match will be played in a single race, and in the event of a tie, it will pass directly to the penalties. Start 16.00 hours, at the municipal field of Tavagnacco, located in via Tolmezzo. The pre-race declarations by the Roma coach, Fabio Melillo: "The final of the Italian Cup would be the icing on the cake that would crown a really important season, which has consecrated our growth. 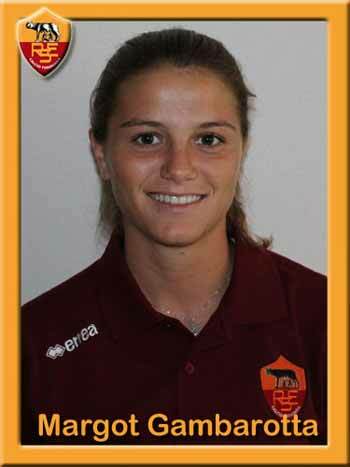 The Tavagnacco has many valuable players, including Brumana, Camporese, Bissoli and Frizza, and are well fielded by Sara Di Filippo. For our part we will give our best to achieve a historic goal. " Read more: FIRST TEAM AND SPRING: WEEK END OF FIRE FOR THE RES ROME! The Gialloblu (ten from the 28 'for the expulsion of Camporese) recover the advantage of the Riviera thanks to Brumana and impose themselves on penalties: the goalkeeper neutralizes two. 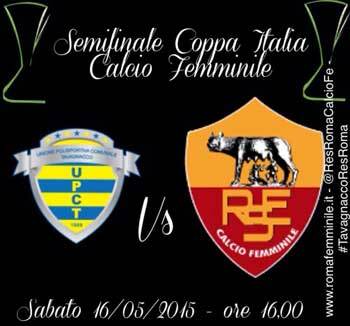 Tomorrow the field draw for the semi-final with Res Roma. The Graphistudio does not want to abdicate: it chooses the most tortuous road, but lands in the Italian Cup semi-finals. The challenge of Milano Marittima is a novel: the Gialloblu play much better than the Riviera di Romagna, remain in ten before the half hour for the red in Camporese, suffer the scarring of Caccamo (in obvious off side) and, when all seems lost, Brumana , with the usual magic of the house, delegates the sentence on penalties. The first attempt Graphistudio per minute 8: Brumana shoots from the flag, but the zuccata "Peressotti rears on the crossbar. The response of the Riviera is in a low shot of Pugnali that goes off to the side. At the 18 'another action of the home team: Eusebio arms the left and Frizza puts a piece, deflecting for a corner. Tomorrow (15 hours), at the "Dei Pini" stadium in Milano Marittima, the "dry" challenge takes place: the Coppa Italia semifinal is up for grabs. Saturday, however, is replicated in the league. Di Filippo: "We can not go wrong"
Filed in the league as a home with the San Zaccaria, the Graphistudio changes "chip". Concentrating their psychophysical energies on the Italian Cup, the natural habitat of the Gialloblù formation in the last two editions, both prerogative of Tavagnacco. Tomorrow afternoon (start at 15), in fact, Brumanae companions will visit the Riviera di Romagna for a quarter-final without appeal: those who pass access the semifinal, where the Res Rome has already landed (on the other side of the scoreboard, instead they will challenge Mozzanica and Brescia). "At stake is an important goal: I personally, in the semifinals I would like to go there - observes Sara Di Filippo - I hope that the same opinion is also my team. It will count a lot the approach and the awareness of not being able to make mistakes. Penalty elimination. "